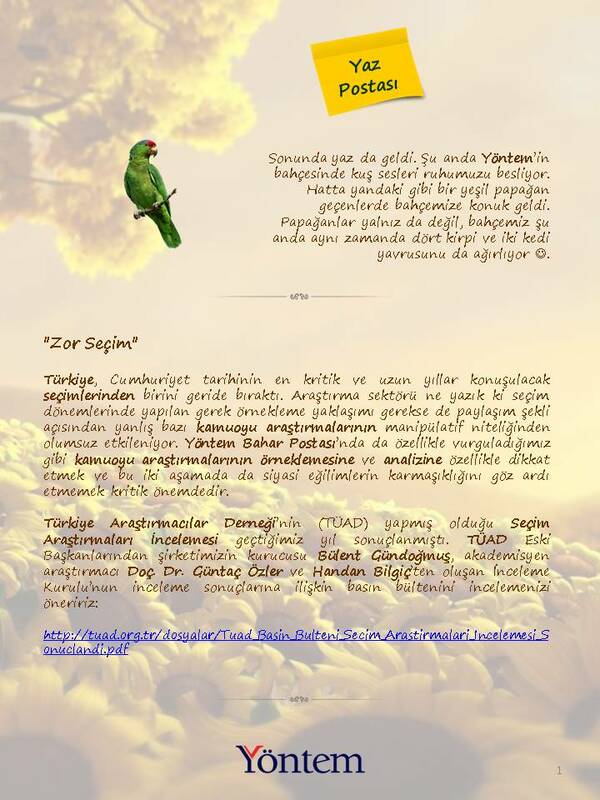 We hope you will enjoy reading seasonal "Yöntem Posta" in which we try to give our views on daily issues, art and culture enriched with our survey findings. They are posted in their original language, sometimes in English, but mostly in Turkish. Please go to the archive for older posts.